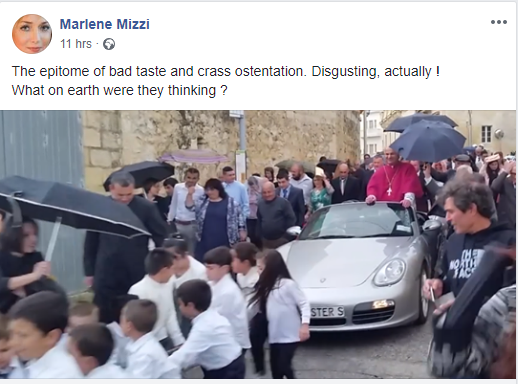 A Gozitan priest was paraded in a sports car on Sunday in Gozo, Żebbuġ Parish. To celebrate his new installment as Archpriest, he went around town waving from a car to the citizens who attended. John Sultana, the 47 year old priest, said that him having little kids pull his car around to greet the people was not an issue. “I’m sorry but to me this simply isn’t an issue and certain comments being made are just not right. Whichever way you comment, it is always taken out of context”. 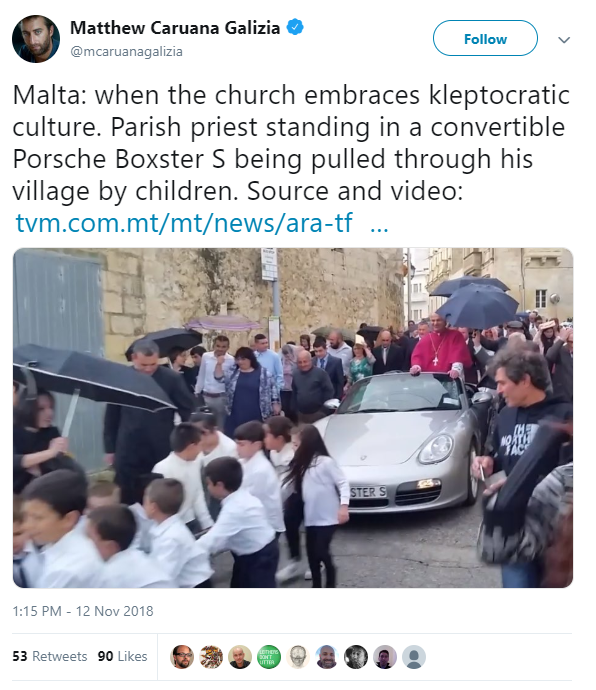 The report of the event was shared across the Maltese community and social media as many criticized the Maltese priest for his actions.